The annual Southend Air Festival will be taking place on Sunday29th, so why not head down to Southend Seafront after your visit to W&S for an exciting afternoon of flying displays until 5pm. Along with plenty of entertainment on the ground for the family, it all culminates in a display by the Red Arrows. Click here for more details. Take a walk in the beautiful Hockley Woods, a 130 hectare ancient woodland, the largest remaining in the area. 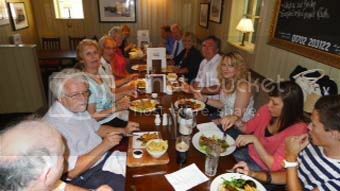 It has a large car park just off the main road by the Bull Inn (99 Main Rd, SS5 4RN) which serves excellent food and has a large beer garden. Just a few days to go now until the W&S Open Day, on Sunday 29th May. If you’re planning on making a trip to our hockley store, you’ll be interested to see the schedule for the day. 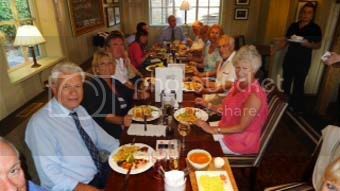 To remember all the good times we had with Mike Wheaton, ZIPY, our service engineer who recently died suddenly, 15 staff members of Waters & Stanton old & new enjoyed a dinner at the Bull Inn, Hockley, on Tuesday, 10th May. We each raised a glass in his memory. At our Open Day, Sunday 29th May, Ian Lockyer will give a short talk on D-Star Radio. Jonathan G0DVJ, will give a short talk about the Essex CW Radio Club and CW operating. Peter Waters, G3OJV will give a short talk about Software Defined Radio. New Update! The Essex CW Radio Club will receive a plaque sponsored by Waters & Stanton in recognition of their acheivement to be Region 12 Radio Club of the Year. You are currently browsing the Waters & Stanton Blog blog archives for May, 2011.